Raspberry Ketone Force is said to be a potent dietary aid that will assist you with burning fat and losing weight easily and safely, without any harmful side-effects. On the official website, the product claims that it harnesses the slimming potential of Raspberry Ketone, the latest organic fat burner, with the renown weight loss impact of green coffee and green tea extract, to make you feel and look your best. Apparently, this means that you will be able to lose your “spare tire” without having to live in the gym. The official website shows a picture of a slim, attractive woman, but does not provide a lot of information about the company who make the product. Only an online contact form and telephone number are displayed. The manufacturers say that Raspberry Ketone Force assists with boosting your metabolism and reducing your hunger cravings during the day, which means you can slim down without becoming hungry. The product is said to allow your body to process fat quicker and convert it into usable energy. This is supposed to enhance your endurance, so you both feel and look fantastic. The official website references a number of official medical studies to lend credence to these claims. Nonetheless, these studies only relate to the effectiveness of Raspberry Ketone and Green Coffee Bean Extract individually. They do not support the effectiveness of the Raspberry Ketone Force formula as a whole. The ingredients for this product are listed as: Green Coffee Extract, Raspberry Ketone, Chromium Polynicotinate, Green Tea Extract, Micro-crystalline Cellulose, Gelatin, Silicon Dioxide, Titanium Dioxide and Magnesium Stearate. There is little doubt that Raspberry Ketone is among the best natural fat burners. Dr Oz, the renown health guru, has endorsed this ingredient, which is known to accelerate lipolysis to assist your body with burning fat rapidly, before it accumulates round your stomach. 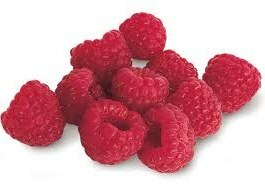 Also, Raspberry Ketone helps the body control adiponectin, which is a protein that governs the metabolism. Tests have indicated that slim people have larger adiponectin levels than obese or overweight people. However, the amount of each individual ingredient in this product is not mentioned. So, it is impossible to know whether each ingredient has been included in a large enough quantity for it to have any effect. Raspberry Ketone Force contains the same level of caffeine as one cup of coffee, and users might find sleeping difficult. So, do not consume the product within five hours of going to sleep. Raspberry Ketone Force should not be taken by women who are nursing or pregnant, children, or those who are suffering from serious illnesses. People who have a raspberry allergy, or an allergy to any other ingredient in the product, should avoid consuming it as well. Consult your doctor if you are presently taking any medication, before you consume Raspberry Ketone Force. 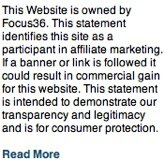 There are five customer testimonials included on the official website, although no “before and after” photos are shown, so the testimonials could easily be faked. There is a disclaimer on the site saying that “results may vary” and, elsewhere on the internet, there do not appear to be any reviews about this product from “real” users. Nonetheless, the product does come with a thirty day refund guarantee (not including shipping costs), and the manufacturers sensibly recommend combining Raspberry Ketone Force with a healthy diet and exercise. Given the distinct lack of information and customer feedback online about Raspberry Ketone Force, it is difficult to come to any firm conclusions. The product does contain some proven ingredients, and is not massively expensive at $49.95 for a month’s supply. However, the details about the manufacturer are sketchy and there is an absence of data relating to the ingredient quantities. Consequently, anyone considering purchasing this product would be best advised to wait until more reviews are available, before parting with their cash. Its hard to recommend anything other that Raspberry Ketone Plus – this was the actual brand that started the initial interest. This entry was posted in Fat Burners and tagged Raspberry Ketone Force. Bookmark the permalink.